I remember when I was young, my family enjoyed camping trips. OK, my father enjoyed camping trips and, since I wanted to be the next grizzly Adams, I enjoyed them too. I'm not sure anyone else in the family liked anything about camping except maybe sitting around a campfire listening for Uncle Bob's laugh (although I think he was a second Uncle.) His laugh always made others laugh, but I don't think we were laughing with him so much, if you know what I mean. Anyway, it was on one of these ventures that I learned a valuable lesson - I needed to learn how to swim. 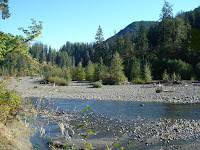 We'd arrived at a great spot along the Skokomish river and all the kids - myself included - were in as we stumbled across the large rocks to get to the river's edge. I'm certain now, that at least on of our parents told us not to venture into the river beyond ankle-depth. Well, I was somewhere between the ages of eight and ten so, of course I was not a very good listener. If one can even imagine the possibility, I was a worse listener than I am now. Well, it did not take me long to venture just ever-so-slightly more than ankle depth - and down the river I went. I heard frantic screams as I bobbed down the river, carried by swift currents. I think that the screams were coming from my parents but I'm pretty sure that most of them came from me. I did not know how to swim very well, or at all if I remember correctly, and so I just fought against the raging currents the only way I could, by flailing and screaming. Somewhere along my path I gain some superhuman sense about me, and managed to grab onto a small log that was affixed somewhere along the bottom of the river. I think I might have actually grown claws. 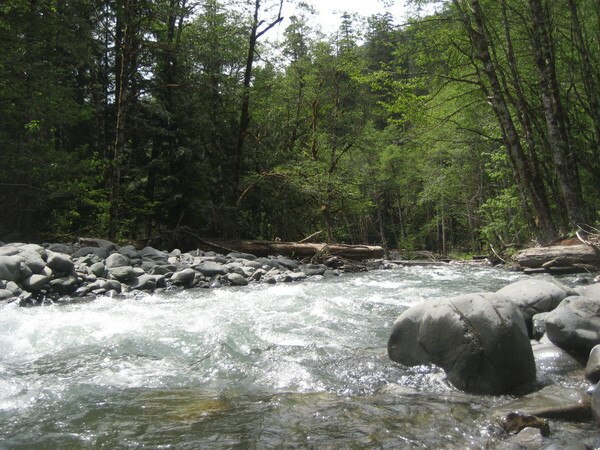 I do remember a brief argument on the shore before my Father reluctantly made his way out into the river to retrieve me. I spent the rest of the weekend as the laughing stock of our entire clan although that was nothing new for me. I did learn how to swim that year and, to this day, love the water. Of course I'm living in the south where we call the water cold if the temperature drops below sixty. 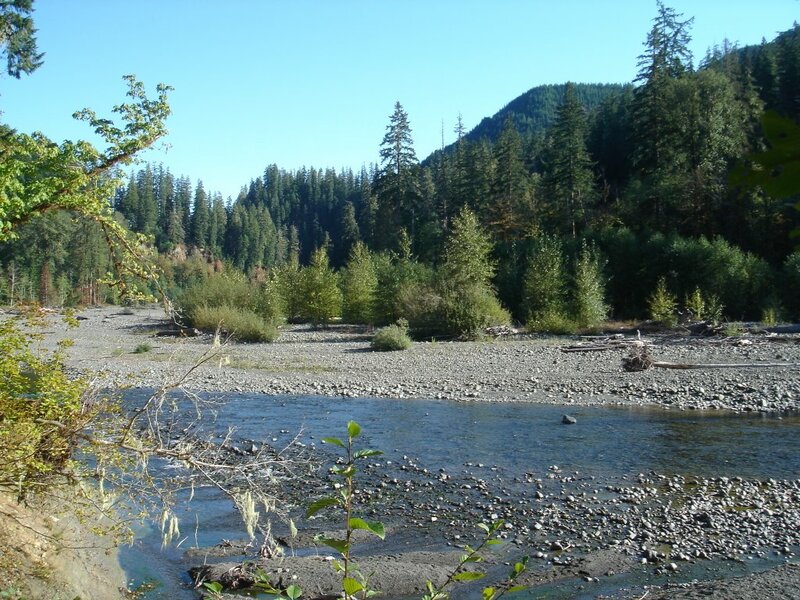 Washington State rivers are normally fed by snow runoff and stays at a balmy thirty-four degrees all the way to the ocean. Ooh, I just scanned a picture so that ya'll will have proof of my water confidence. Got a picture of me with my Grandson after a half-hour of paddleboating at the zoo. I peddled and he steered the boat, which meant that we spent an entire half-hour going around in circles ... But he had a great time! 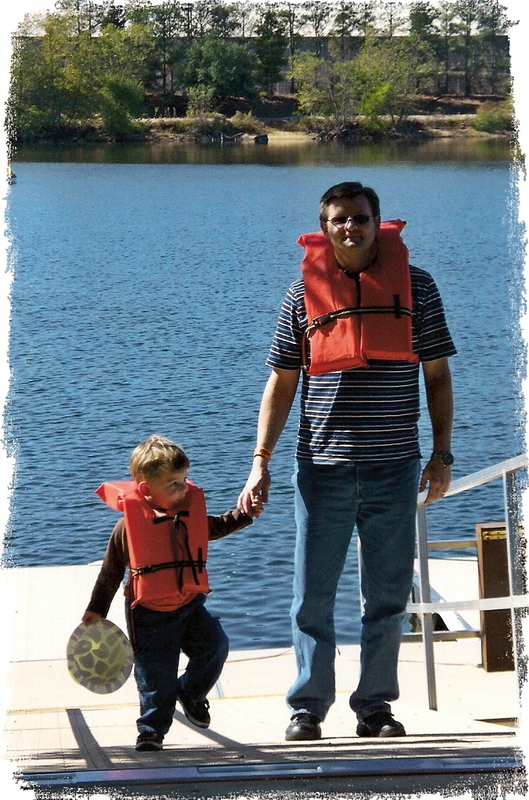 Like Dora, the explorer says: "Lifejackets ... So we can be safe!" We should all be so lucky as to be able to just dive right in without forethought with writing. f I just had the guts to dive into my wip the way I dive into swimming waters and roller coasters. That was nice story, make me remind of when I was kid... - Hani. I guess I am the same way. I dont mind loosing control if the reward is freedom. Ive always been one to raise my hands while upside down on a coaster, sit at the tip of a speed boat to feel the wind or let my next story "possess" me. To me the loss of control is worth the prize,the surprise I feel when I open my eyes and realize that I was never really in control in the first place and that somehow frees me. Thanks Jim for writing about this! I still remember the horrible sight of you out there in the water. Even Dad was shaking in his boots before he braved the heavy current to fetch you. By the way, I'll never forget Bob's machine gun laugh. He was quite the character.